Have you always dreamed of spending a night in a real Irish castle? Feeling like royalty for a day sounds fun, right? We think so too! That's why we are giving you the option to include a night (or two!) 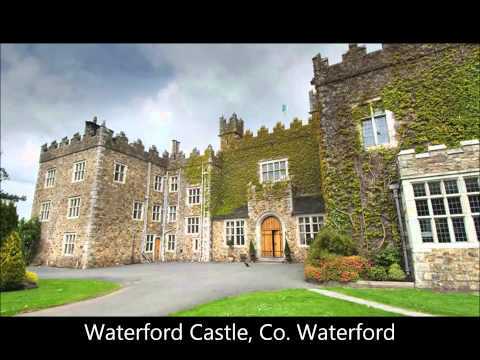 in some of Ireland’s most romantic castles with any of our tours! Contact us here to find out more! Celebrate your Irish vacation with a stay in some of our finest castles here in Ireland: Dromoland Castle in Clare, Ashford Castle in Mayo, Adare Manor in Limerick, or Ballyseede Castle in Kerry (to name just a few). Perhaps you even want to include a candlelight dinner, spa treatment or round of golf as part of your stay? No matter what, let us know & we can organise it for you. Whether you wish to dine like a knight, sleep like a queen, clamber around an old abandoned castle or simply take a tour of a rejuvenated one, we have a tour just for you! We can include castles into every part of your vacation from attractions to accommodations! From our majestic restored castles to sprawling abandoned ruins on windswept coasts to bustling city locations, Ireland’s emerald landscape is dotted with hundreds of castles! All whisper the tales of Ireland’s past – her tragedies, triumphs and tales - her engaging, exciting and enigmatic past and all are just waiting to be explored!